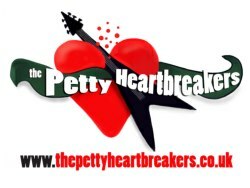 The Petty Heartbreakers is top tribute band in celebration of the great Tom Petty, with and without The Heartbreakers. The band plays songs from the first album in 1976 to the present day, including all the hits and much more. Audiences are amazed at how many songs they know and love. You'll be surprised at how many songs you know, even if you don't own any Petty records. If you are a Tom Petty fan though, prepare yourself for Petty Heaven. As well as gigs and festivals, bars, clubs, the band are available for private bookings, functions, weddings, corporate, convention. Please just get in touch.